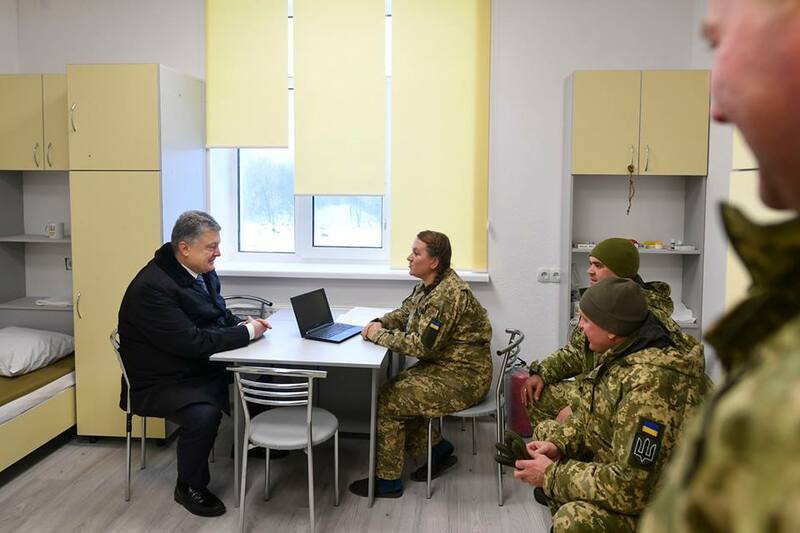 President Poroshenko got himself acquainted with the living conditions of the servicemen of the 72nd mechanized brigade named after the Black Zaporizhians in the newly built dormitories in Bila Tserkva. When communicating with fighters who had just arrived from the frontline after carrying out combat missions, the Head of State asked about their impressions from the housing. "Where did you live before?" Petro Poroshenko asked. "Before this - in the trenches, barracks. Here the conditions are better of course," the soldiers answered. The warriors thanked the Head of State and wished him a fruitful work. Petro Poroshenko also thanked the military for their service. "I was glad to see you. I am very grateful to everyone for the great performance of combat tasks, because the 72nd brigade has already become a sign of quality. The victory will be ours," the President said. The President noted that the state was deliberately implementing a program of housing construction for servicemen. 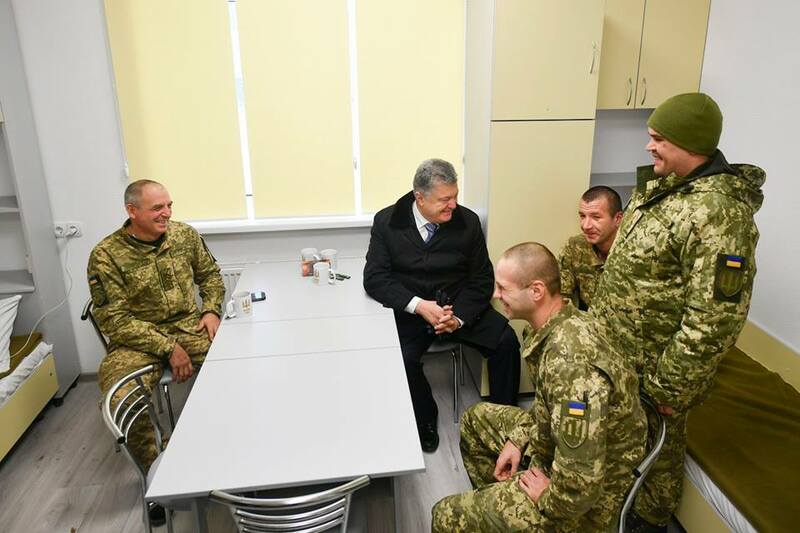 "I believe that the program we launched for the construction of dormitories for the contractors is a record," Petro Poroshenko said, noting that more than 23 thousand soldiers would be provided with housing, more than 10% of the Armed Forces of Ukraine. "It is a great happiness for us that we can improve the lives of our warriors," he added.